Two obvious limitations exist for baseline kernel minimum squared error (KMSE): lack of sparseness of the solution and the ill-posed problem. Previous sparse methods for KMSE have overcome the second limitation using a regularization strategy, which introduces an increase in the computational cost to determine the regularization parameter. 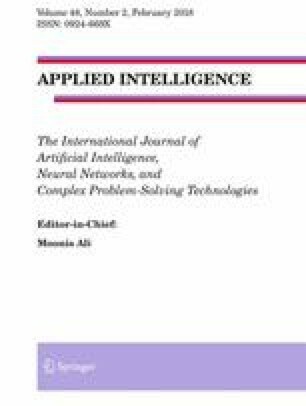 Hence, in this paper, a constructive sparse algorithm for KMSE (CS-KMSE) and its improved version (ICS-KMSE) are proposed which will simultaneously address the two limitations described above. CS-KMSE chooses the training samples that incur the largest reductions on the objective function as the significant nodes on the basis of the Householder transformation. In contrast with CS-KMSE, there is an additional replacement mechanism using Givens rotation in ICS-KMSE, which results in ICS-KMSE giving better performance than CS-KMSE in terms of sparseness. CS-KMSE and ICS-KMSE do not require the regularization parameter at all before they begin to choose significant nodes, which is beneficial since it saves on the model selection time. More importantly, CS-KMSE and ICS-KMSE terminate their procedures with an early stopping strategy that acts as an implicit regularization term, which avoids overfitting and curbs the sparse level on the solution of the baseline KMSE. Finally, in comparison with other algorithms, both ICS-KMSE and CS-KMSE have superior sparseness, and extensive comparisons confirm their effectiveness and feasibility. This research was supported by the Fundamental Research Funds for the Central Universities under Grant no. NJ20160021. Moreover, the author wish to thank the anonymous reviewers for their constructive comments and great help in the writing process, which improve the manuscript significantly.